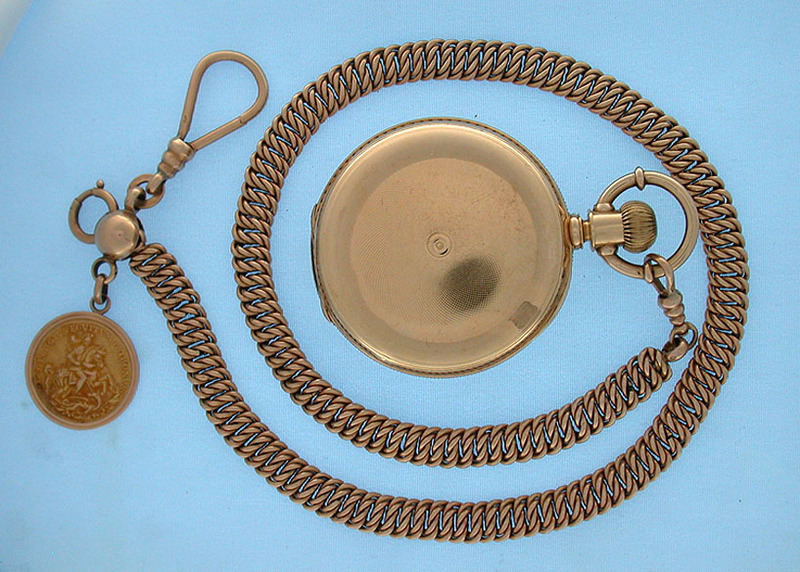 Fine and attractive 14K gold antique pocket watch chain with coin fob circa 1910. 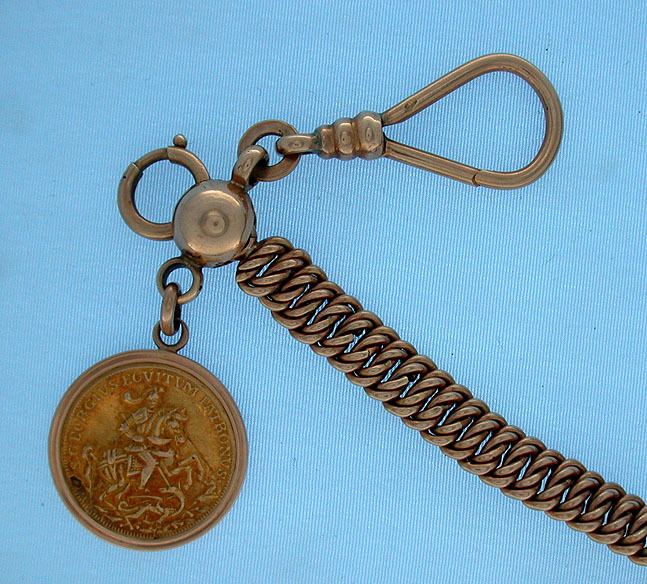 Unusual flat woven design with large swivel hook. Weight 27.4 dwt. Shown with a 50 mm watch, not included.